In my travels through Louisiana and the Gulf states of America, I’m always on the lookout for delicious Shrimp and Grits on restaurant menus. I’ve sampled many variations of this Southern dish and every time I eat one that I like, I make mental notes about what’s so special about it. 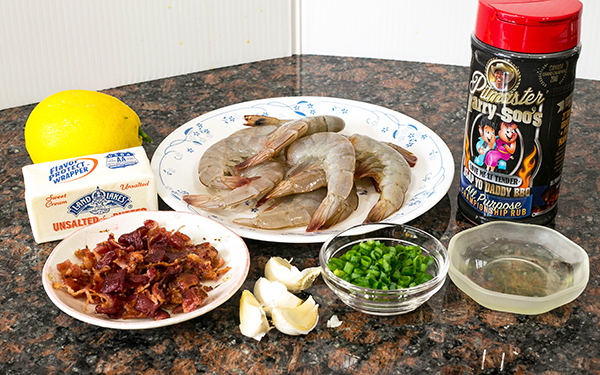 Here’s my cheat-sheet of what I think makes excellent shrimp and grits: I like the roux-based sauce to be dark and nutty; grits cheesy and creamy while not being too runny or thick; I like some crumbled bacon to contrast the texture of the sweet shrimp; and I like a hint of lemon juice which freshens up the dish. 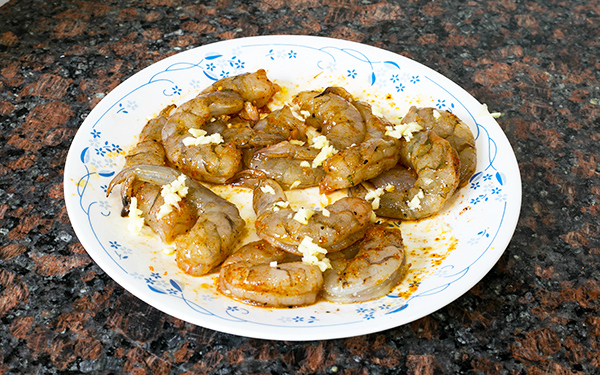 I think it’s important that the shrimp be cooked separately from the grits and not be overcooked. It should really be removed from the grill or stove a bit underdone. When the barely cooked shrimp is placed on top of the hot roux sauce and grits, the shrimp finishes cooking on the residual heat. I had these goals in my mind when I set out to create my perfect shrimp and grits. I hope you’ll try my recipe and find it the tastiest version you’ve experienced. 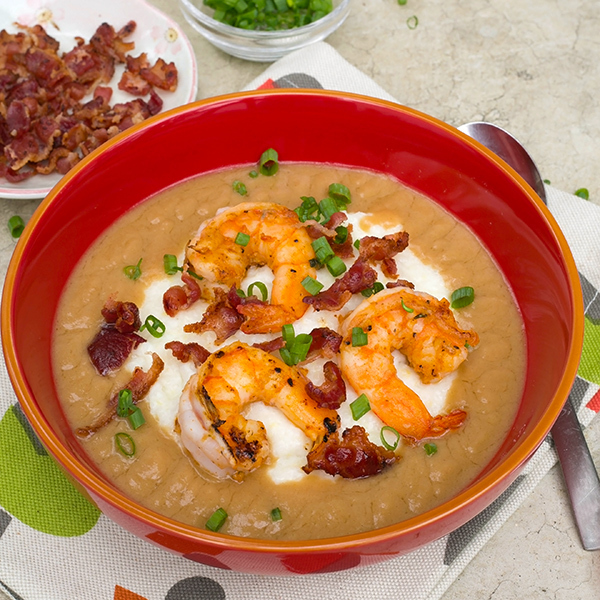 I think the foundation of a good shrimp and grits dish is the roux-based sauce. A roux (pronounced "roo") is a thickening agent for soups and sauces with roots dating back more than 300 years in French cuisine. Roux is a staple in Cajun and Creole dishes, especially gumbo and jambalaya. You cook flour and oil until the raw flour flavor gets cooked off. Depending on how long you cook the flour and oil mixture, the color starts white (used for Béchamel sauce) and turns blonde, then brown, and then dark brown after about 40 minutes. The white and blonde roux are used to thicken sauces, soups, and chowders. The brown and dark brown versions have nuttier flavors but have less thickening ability than the light colored ones. Because it takes a while to make the darker roux, you can make more and store it in the fridge or freezer to save time when you need it next. 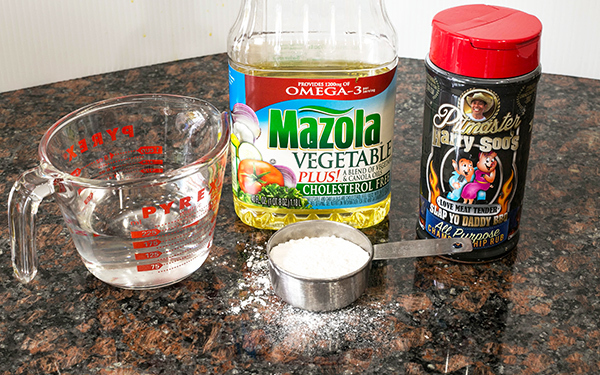 Pour ½ cup vegetable oil in a heavy bottom saucepan and set to med-low heat. 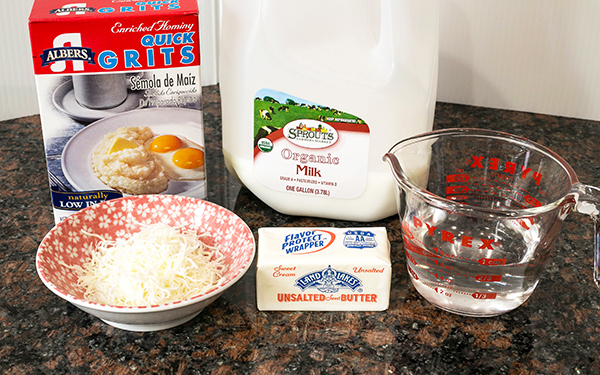 Whisk in ½ cup all-purpose flour. As the oil warms up, the roux will begin to cook and change color. Keep stirring the flour-oil mixture with a whisk until you reach the desired brown color you like. The darker the roux, the deeper will be the nutty roux flavor. It took me 25 minutes on my stove top burner to reach the color I wanted. The heat should be set to a low simmer. Try not to burn the roux else you have to start over. 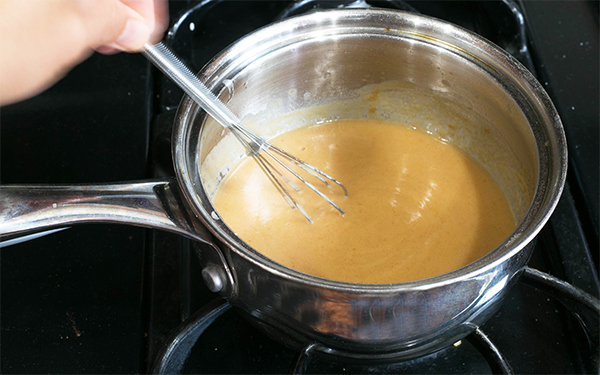 When the roux is ready, remove your pan from the stove and slowly add water. Add a little water and stir to incorporate before you add more water. This amount of roux should make about 3 cups of gravy. Be careful in case the hot roux boils over. Return the pan to the stove top and gently simmer. Once roux sauce is done, season to taste with SYD All Purpose rub and set aside to keep warm.